Light up your brand in style. From our popular<span style=”font-size: 14px;”> 12</span>L LED ice bucket styles to our smaller 3pc 5L options we can be sure to find the right fit for your brand. Our range is comprised of various PP plastic with internal LED lighting that can be customized to match any colour. Custom printed branding and handles are also available with select styles. 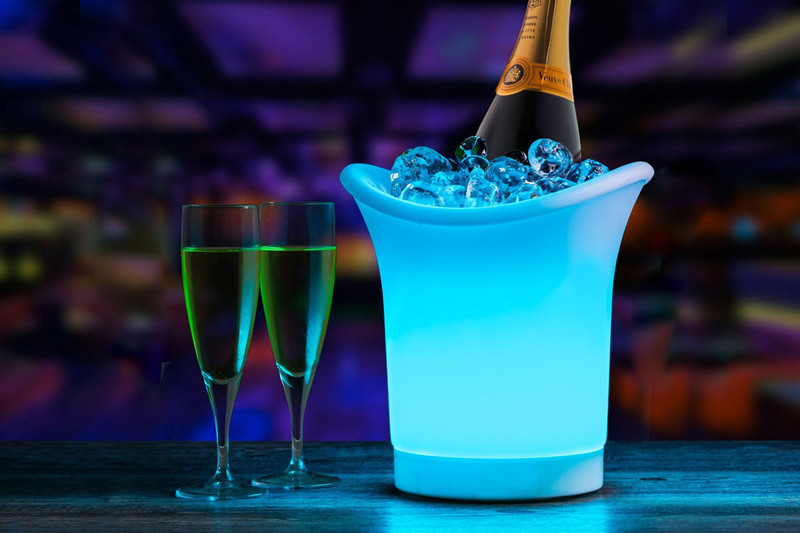 Our LED ice buckets are perfect for any promotional event or new product launch. With customised printing and a wide range of LED colours these are a great option for generating brand awareness from our 5L to 12L capacities we can certainly find the right size and style to best promote your brand.